I was born and raised in Detroit... Motown... and in 2005 Martha Reeves from the 60's Motown group Vandellas was running for Detroit City Council on the platform of "bringing music back to the city of Detroit".... What? Are you kidding me? We've got enough "wanna be" rappers and she wants to add to this maddest? The worst part is Martha Reeves won and is a proud member of the dysfunctional Detroit City council. Meanwhile, cities like Mumbai, India are cranking out computer scientists by the thousands but Detroit has Marva Reeves. While Martha Reeves was "Dancing in the Streets" in the 60s, Mumbai was investing heavily in science education and it's paying off big time. Fantasia Barrino who won the American Idol competition is functionally illiterate. That's right, she can't read and admitted her problem in at least one interview. She got lucky by winning the American Idol competition in 2006. 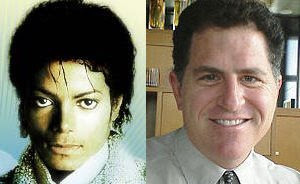 Too many kids think they can be the next Michael Jackson when they need to focus on being the next Michael Dell. To help counter some of this maddest, I am initiating a non-profit web academy here in New York city called The Web Academy. We will offer free web design classes to the community and offer free web development services to other non-profit organizations. So, with the help of City College of NY and other local learning institutions, I am hopeful that we can crank out the next generation of web entrepreneurs. I think what you are doing is fantastic. I predict that you will have so many students you will have to expand...quickly. I also think the website has a fresh look and hip sound which is bound to attract young people. Are you focusing on any age group in terms of students and how will they be chosen to participate? Excellent post...driving to the need of education for the emergent world. Add in that the Detroit kids that did get it back then are are now ex-Detroiters working in tech jobs around the world, you have the perfect circle as to why Micheal Jackson is revered as opposed to Micheal Dell. Living in the past wont last. Pretty insightful post, I would replace Michael Dell with Ben Carson or Ejovi Nuwere.